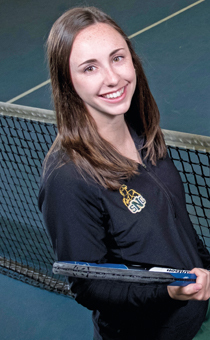 Eleven St. Norbert sports were represented at nationals this year and seven teams garnered conference titles – not bad for a school that was minus its sports center for the duration. While Schuldes was being transformed, the Green Knights matched the school record for the most conference titles in one year, giving St. Norbert 25 over the last four years – also a school record. On top of the seven Midwest Conference (MWC) championships, St. Norbert won eight conference tournaments and had 11 teams qualify or send individuals to their respective NCAA Division III championships. The Green Knights registered a total of 195 wins, the third-best showing in school history behind 210 in 2013-14 and 202 in 2009-10. The Green Knights collected Midwest Conference championships in women’s cross country, men’s basketball, women’s indoor and outdoor track, men’s golf, women’s softball and baseball. Quite a list of accomplishments for an athletic department displaced. While the MFFSC took shape behind its hoarding, many teams moved to temporary new digs, practicing off campus at odd morning or evening hours. Staff and coaches were temporarily housed at Pennings Activity Center. Women’s cross country picked up the only conference championship during the fall season, claiming their first title since 2010. Erin Artz ’17 and Taylor Domro ’19 also earned berths in the NCAA Division III Championship by qualifying during regional competition. Women’s volleyball and men’s soccer both won Midwest Conference Tournament championships. The volleyball team pulled out a pulsating five-set win at Cornell College, while soccer slipped past Grinnell College in overtime to reach the NCAA Tournament. Men’s ice hockey reached its 11th NCAA Division III Frozen Four in the last 15 seasons by defeating Augsburg College in an overtime thriller at Cornerstone Community Center. The Green Knights, who lost a one-goal game in the national semifinals to Trinity College, also won the Northern Collegiate Hockey Association Harris Cup Championship with a win at Adrian College. Men’s basketball won their fifth consecutive Midwest Conference championship and extended their NCAA Division III record conference winning streak to 72 games before it finally came to a halt in January. Their five straight outright conference titles are the most in the MWC in men’s basketball since 1933. Women’s basketball finished second in the regular season but, like volleyball, traveled to Cornell and captured the conference tournament championship. St. Norbert rallied from a six-point deficit in the second half to earn its 14th NCAA Tournament berth. Women’s indoor track and field won their third consecutive Midwest Conference title and ninth overall. Brittany Kozlowski ’17 had St. Norbert’s best showing at the NCAA Championship, finishing second in the 800-meter run. St. Norbert had a banner spring, with four teams reaching NCAA Championships in team play. Men’s golf won their third conference title in five years and earned a berth in the NCAA Division III Championship. The Green Knights finished tied for 31st, their best showing at the national meet. 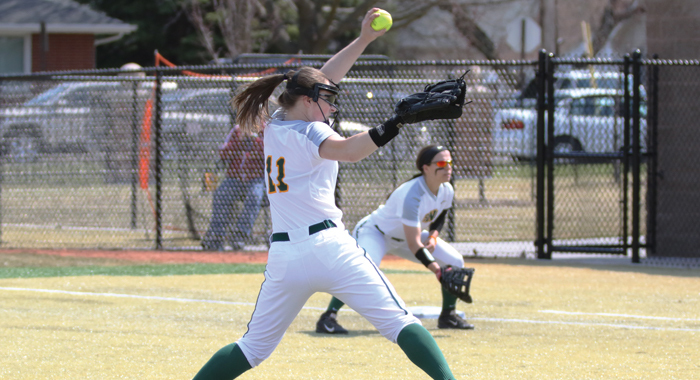 Women’s softball rebounded from a ninth-place finish a year ago to win the MWC championship, and then went unbeaten in the Midwest Conference Tournament to advance to the NCAA Tournament for the first time since 2012. Baseball swept a tripleheader on the final day of the Midwest Conference Tournament to win the conference championship for the first time since 2014. The Green Knights finished with 30 wins, the most in program history and the most ever for any male team at the college. Women’s tennis advanced to their third overall NCAA Tournament with a thrilling 5-4 win over Grinnell to capture the MWC Tournament crown in late April at Nielsen Tennis Stadium in Madison. Women’s outdoor track and field also had three qualifiers advance to the NCAA Division III Championship on Memorial Day weekend. Four years ago at tryouts for the St. Norbert College women’s tennis team, Paul Miller (Athletics) knew something good was coming. He did not know how good.